Description: Really fancy a new style of marketing your business? 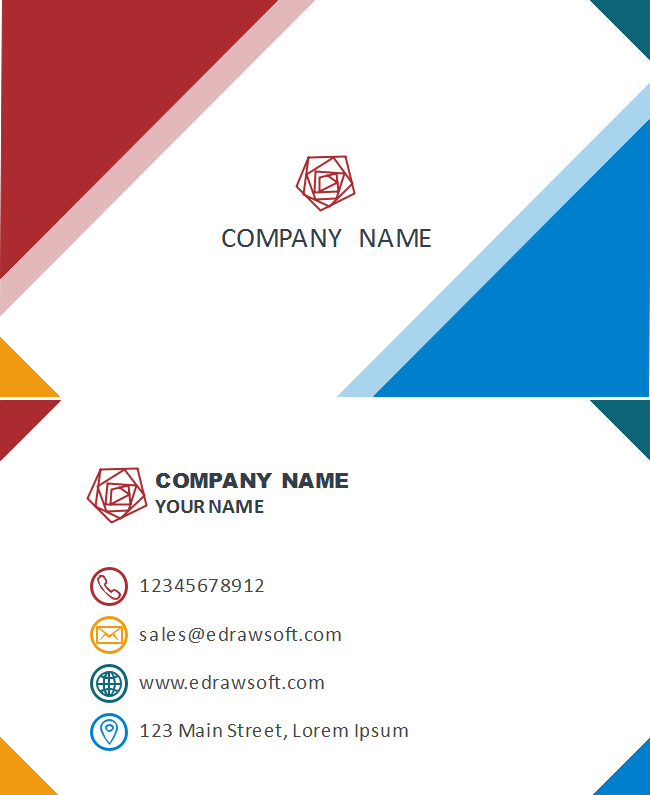 Just try this colorful geometry business card template. Combine your own elements and theme with lots of premade Edraw diagram design quirky resources. Free download now to be the first to enjoy these features.